We have all probably heard the expression of breakfast being the most important meal of the day. I would have to agree! Having a nutritious breakfast in the morning that is high in protein and lower in carbohydrates can have a significant impact on the rest of day. Stabilises blood sugar levels which will help with appetite control. This means you’ll less likely crave sugar. Protein increases satiety which will keep you full for longer. Therefore, you’ll less likely feel hungry during the day. Consuming a high-protein breakfast will help increase your metabolism. This allows you to burn more calories throughout the day. For more information on the benefits of starting your day with high protein breakfasts visit here. 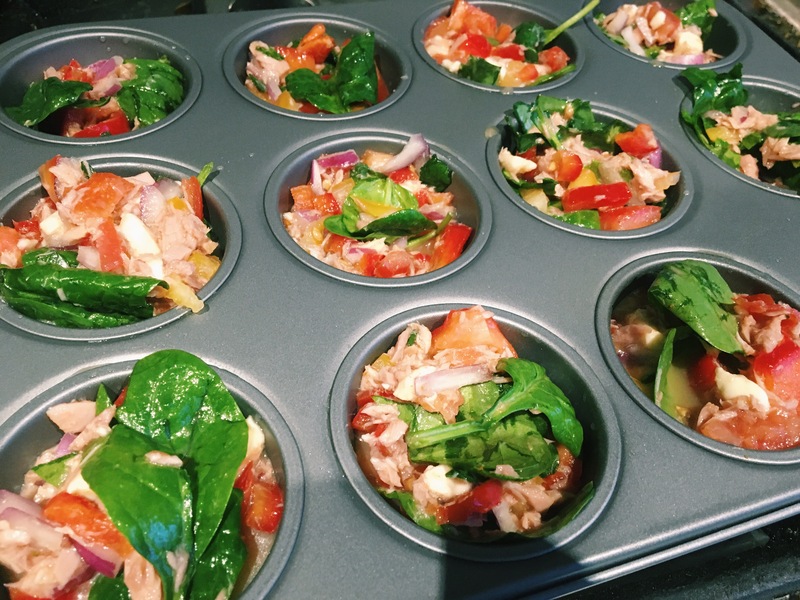 Tuna egg muffins are a simple low-carb, high-protein breakfast that is easy to eat on the go or take to work. 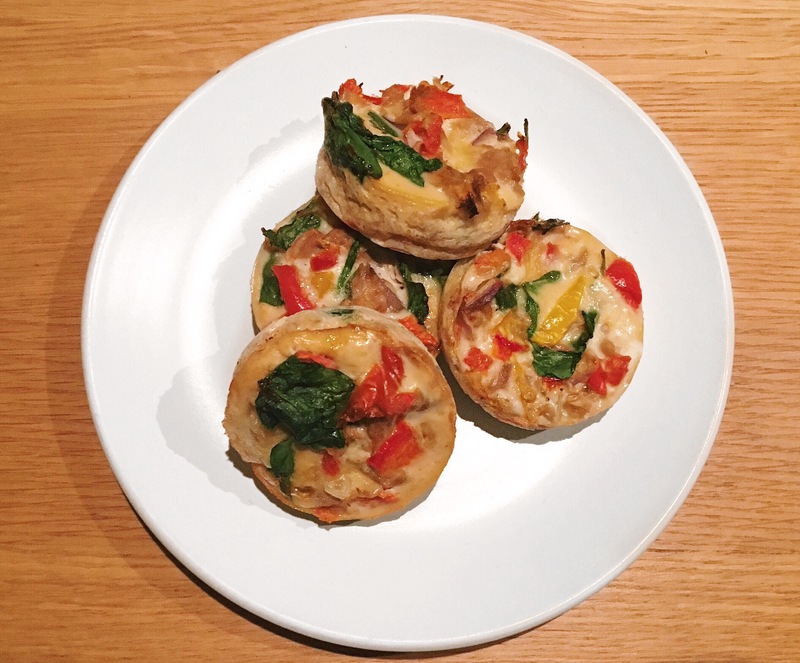 I have come across some egg muffins recipes on Lola’s YouTube channel Lola’s Journey and LifestylewithLucy (check them out for great health and fitness related content). Their egg muffin recipes look just as delicious but I decided to make my own version with ingredients I had at the time. Pre heat the oven to 200ºc. 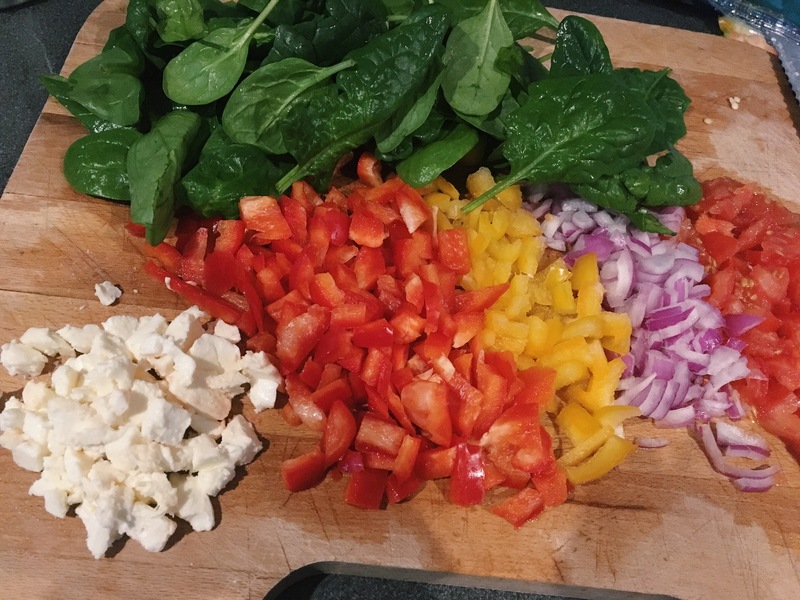 Chop bell peppers, onions, tomatoes, spinach and mozzarella cheese. Beat 4 eggs and 2 egg whites in a large bowl. Add garlic powder, black pepper, all purpose seasoning and salt, to taste to the egg. Drain sunflower oil from 1 can of tuna and break into small chunks. Add vegetables, cheese and tuna to the eggs and mix. Spray muffin tray with sunflower oil spray and spoon the egg mixture evenly in each muffin tin. Bake in the oven for 20 minutes at 200ºc. Note: You can store in the fridge for a couple of days and just warm them up when you’re ready to eat. Nutritional Info (Per serving size): 201 Calories | 20 g Protein | 6 g Carbs | 10 g Fat * This may slightly differ depending on where you buy your ingredients from. 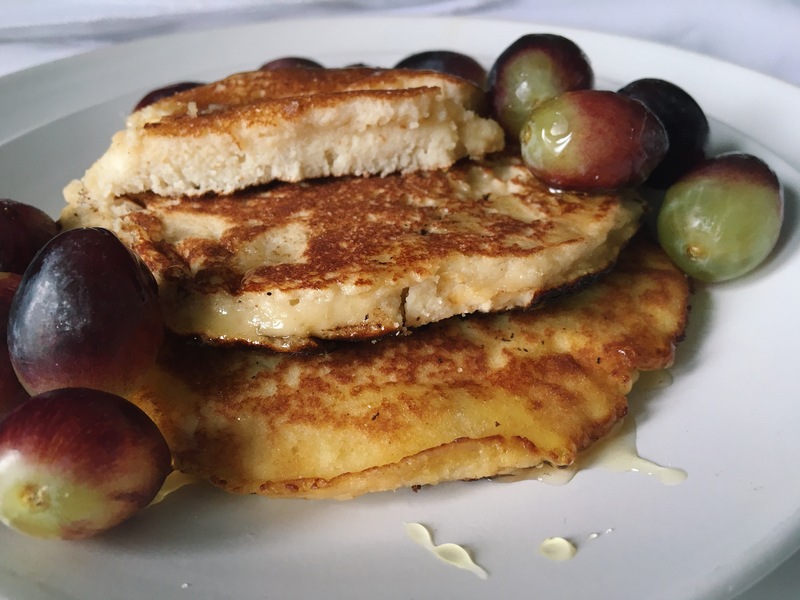 These yummy fluffy coconut flour pancakes are really filling and would be ideal to make on a leisurely weekend morning. Coconut flour is a good gluten free alternative to traditional flours. It is also high in fibre, low in carbohydrates and is packed with healthy fats. In a medium bowl, combine 28g of coconut flour, 1/4 tsp baking powder, and 2 tbsp stevia (or sugar substitute of choice). 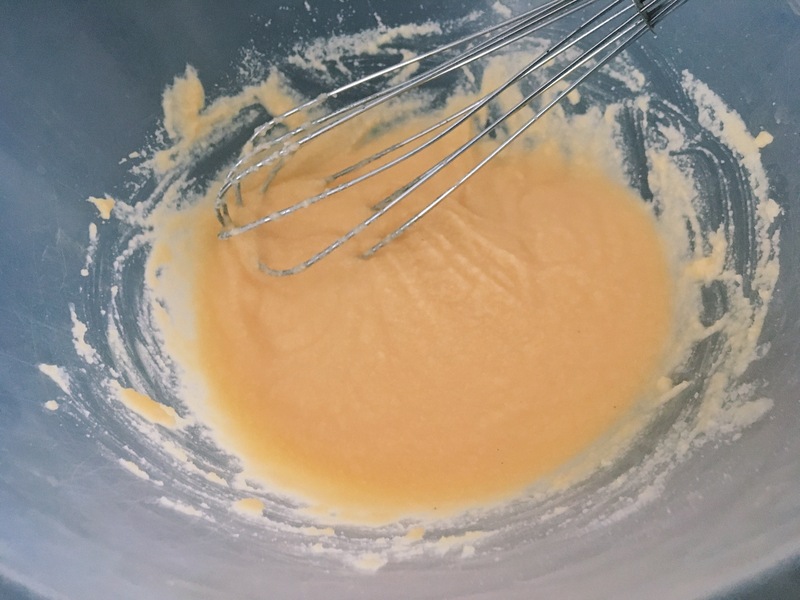 Add in 2 eggs and 1 egg white, 2 tbsp melted coconut oil, 1 tbsp vanilla extract, 60 ml almond milk and stir until completely combined and thick. Grease pan with coconut oil. Pour batter evenly onto the pan and cook the pancakes for 2-3 minutes on medium to low heat. Flip the pancakes onto the other side when they begin to bubble and cook until pancakes are golden brown. Note: Coconut flour is the trickiest flour I have ever used. It is a high absorbent and absorbs the liquid like a sponge so you’ll find that your pancake mixture will become thicker with time. Butter can also be used in place of coconut oil. Nutritional Info (Per serving): 387 Calories | 22 g Protein | 19.6 g Carbs | 22 g Fat * This may slightly differ due to the sugar substitute of choice and depending on where you buy your ingredients from. 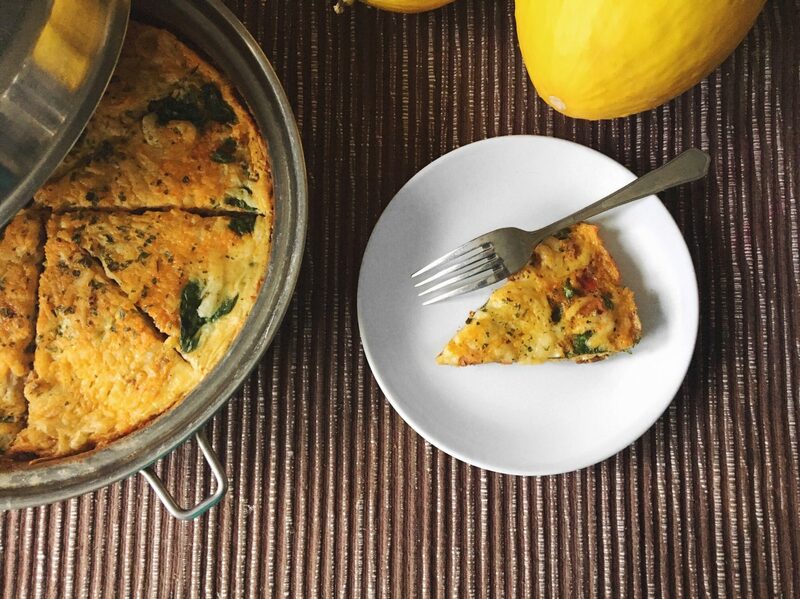 Egg frittata is a very versatile dish and is a great way to get rid of leftovers you may have in your fridge. For the filling, you can get really creative and use a combination of meat or poultry, seafood, vegetables and cheese of choice. 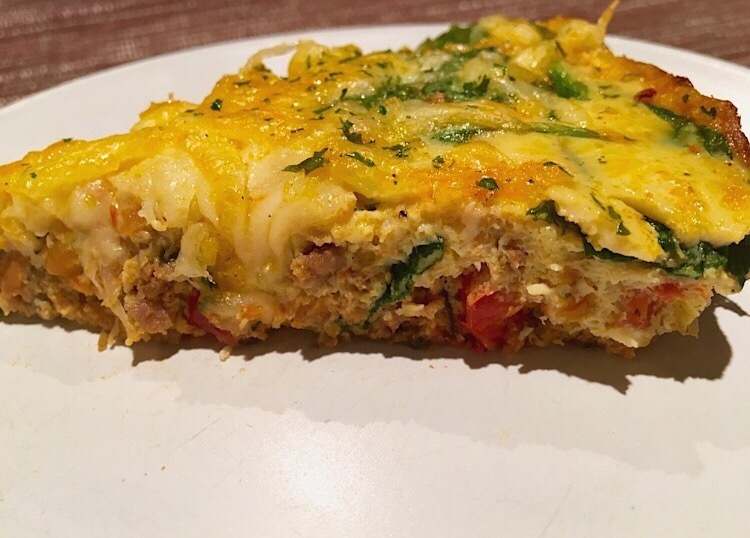 This recipe is perfect for breakfast and brunch. Beat 8 eggs, salt, mixed herbs, pepper and garlic powder in a large bowl. For the filling, finely chop spinach, bell peppers, onions, baked sweet potatoes and combine with beaten eggs. Add left over mince beef with tomato sauce to the egg and mix. Heat coconut oil in ovenproof pan, pour in egg mixture and cook over medium to low heat until eggs are almost set, for about 8 to 10 minutes. Sprinkle mozzarella cheese and mix herbs over top. Place pan in the oven at 200ºc and cook for 5-7 minutes until cheese is melted and frittata is puffed up. Nutritional Info (Per serving): 204 Calories | 14 g Protein | 9 g Carbs | 12 g Fat * This may slightly differ depending on what ingredients used in your filling. If you use my recipe, tag me on instagram or twitter, as I would love to see your pictures. For further assistance making this recipe, comment below or contact me via email. Enjoy! What’s your favourite high protein breakfast? Next Post 40 Photos That Will Inspire You To Give Southeast Asian Cuisine a Try.